One of the first questions I asked after being told I had cancer was if I would lose my hair. I quickly processed the news that I would need a radical hysterectomy, chemotherapy, and radiation, but couldn’t quite swallow the reality that I would lose my hair from treatment. Though I never quite appreciated my locks prior to cancer and would often complain about bad hair days, I now treasure each strand and am a firm believer that bad hair days simply do not exist. They always say you don’t know what you’ve got until it’s gone and let me tell you, they are right. Over the course of these last five years, I’ve lost my hair five times. I was bald for nearly three years straight as I fought cancer over and over again. I’ve worn hats, scarves, and wigs, and sometimes wouldn’t even bother. Because I had no prior experience with baldness, upon diagnosis, I had no clue what to expect. Not only did I feel unprepared to fight cancer, I felt utterly ill-equipped on how to cope with my hair loss. Where was I to start? What type of wig should I buy? Will it look real? Is it going to itch and make me hot? Should I try to match my hair color or try something new? Short or long? Bangs or no bangs? The growing list of uncertainty was overwhelming. Chemotherapy induced hair loss is common for patients fighting cancer. Unfortunately, many of us have too little information on how to buy or wear hair pieces. This often leads to sadness, fear, and lowered self-esteem. We become afraid to be in public for fear that people will stare at us. We have nightmares of our wig flying off in a sudden gust of wind. We’re unsure if we should even invest in a wig or just stock up on hats and scarves. I tried it all. My scarf collection grew, and though I never enjoyed wearing hats, I soon bought many. I knew I wanted to feel as normal as possible while battling cancer, and felt that wigs may help my self image. Thus, I began my adventure into wig buying and wearing. I went to multiple wig shops, tried on various styles, colors, and hair types, and soon learned all about the wide open world of wigs. Because many of the popular questions I get asked are in regards to wigs, I’ve put together a comprehensive list of what to know before you buy. Below are my top 10 tips for both buying and wearing. Quality and Type: First, you’ll want to narrow down if you would like a synthetic or human hair wig. Synthetic wigs are made from pre-set fibers that allow the wig to maintain its style after washing. Waves, curls, and volume are set into the strands and remain throughout the life of the wig. Synthetic wigs are great for women who don’t want the fuss of having to style a hair piece. Most can be worn right out of the box. Though they offer ease, because of their pre-set fibers, they lack versatility. Don’t expect to be able to style your synthetic wig in a variety of ways. Human hair wigs are a more natural alternative and offer more customization than their synthetic counterpart by creating a beautifully natural appearance. Human hair wigs offer high versatility and can be cut, styled, and even colored based on your personal preference. Though the superior option, human hair wigs need to be regularly maintained. Expect to wash and style your human hair wig frequently (as you would your own hair) in order for it to last longer. Cut, Color, and Style: A benefit to wig wearing is the opportunity to try something new. Many women use this time to choose a wig that looks completely different than their natural hair, while others choose wigs based on their usual style. Hair pieces are made in a variety of lengths, and colors, so the possibilities are endless. From deep brunettes to vibrant reds and soft blondes, highlights and lowlights, and even natural grays, you are guaranteed to find the shade your looking for. Maybe you’ve always wondered if blondes really have more fun, now’s your chance to find out! Maybe you’ve been too nervous to cut your long hair into a short bob, or vice versa and have wanted to have long, cascading locks… Try something new! In addition, keep in mind skin tones can often change during treatment, tending to become more pale. Choosing a wig with warmer tones may help you look and feel brighter. If you prefer to find a perfect match between your natural hair and a wig, I suggest wig shopping before you lose your hair. This will allow you to do side by side comparisons and increase your chances of getting a more accurate match. Finally, don’t feel limited to buying one wig. Some women choose two to three wigs in order to change their style periodically. Customization: While synthetic wigs offer little to no customization, human hair wigs are extremely versatile and can be cut, colored, and styled to your preference. When purchasing your wig, ask yourself if you like it the way it is. If it’s synthetic, your answer should be yes. If it’s human hair, you will have the ability to adjust and customize. If you choose a human hair wig and would like to customize it to fit your needs, make sure you verify that your wig of choice allows for changes. Your wig retailer will be able to give you details about the specific hair type your wig has been made with. Always check with your wig retailer or manufacturer before customizing the color. Some human hair wigs are pre-dyed with low grade hair color that is not meant to be changed, while others are high quality and allow highlights or lowlights to be added. Most importantly, choose a wig with your preferred hair color. Adjusting the overall color from brunette to blonde or blonde to red may not be realistic. Because of their quality, human hair wigs are even more beautiful when trimmed to fit your face shape. Find a professional stylist who has wig styling experience, and ask them to trim your wig for a more tailored and personalized look. Accessorize: Where will you be storing your wig? Will you be traveling with it? Where will you style your wig? Both human hair and synthetic wigs require specific accessories. First, your wig will need a place to rest when you aren’t wearing it. This is called a wig stand. There are many different types of stands, from mannequin busts to metal tripods. Some are free standing, while others clasp to the end of a counter or tabletop. Mannequin and foam heads both help the wig to maintain its form in times when you aren’t wearing it. If you choose to purchase a head stand for your wig, you’ll need t-pins to hold it in place on the stand. If you are traveling with your wig, mannequin heads can oftentimes be too bulky to bring along, while metal tripods are great travel companions. Metal tripods don’t require t-pins, but often interfere with the set style of your wig by creating unwanted creases in your wig hair. They are perfect for travel but may not be your best choice for everyday use. In addition to a wig stand and t-pins, you will also need to purchase wig caps. These are breathable, thin caps that you place on your bare head prior to putting your wig on. These not only protect your scalp from the wefts of the wig, but create a grip for your wig to hold onto. Wig caps are made from a variety of materials, but a stocking cap is very popular because it’s thin and lightweight. Maintenance: Like all hair, wigs need upkeep. As previously mentioned, synthetic wigs require much less maintenance than human hair, but you will still need to take special care of each. Make sure you know what type of hair your wig is made from in order to know what products you will need to use. There are wig-specific shampoos and conditioners that will not only properly clean your wig hair, but also extend the life of your hair pieces. Do not use your typical cleansers and styling products on your wigs. This can weaken the bonds of the wig weft and may damage the hair itself. In addition, you will need a brush suitable for wigs rather than your regular brush and comb. Some women opt to take their wig to a professional stylist like they would their own hair for washing and styling. If you choose to maintain your wig yourself, be sure to know how to wash, brush, and style your wig beforehand. Try before you buy. Wigs are not one size fits all! Some have tighter wefts for smaller heads, while others have wider wefts for large heads. Most have adjustable straps woven into the weft for precise fit, but because of the grand variety of wig manufacturers, types, and styles, you will need to try before you buy. For instance, what may work for me may not be as flattering on you. Lace fronts look natural on some, but on others they never lay flat. Some wefts are itchy, while others are smooth and comfortable. Like you would a pair of shoes, try on wigs until you find your perfect match. A wig should feel comfortable on your head. Not too tight, but not loose enough to fall off if you shake your head from side to side. What may look like a long style on a wig stand may look shorter when worn on a human head. Never purchase a wig if you aren’t certain it’s going to fit correctly and feel comfortable. Retailers: A quick web search will bring up several sites for wig retailers. By following the above rule of “try before you buy,” you should find a local retailer in order to see, feel, and try on wigs before purchasing one. Most major cities have wig shops, just be sure to call ahead to learn if they carry both human hair and synthetic wigs. Quality wig shops will have private fitting rooms where you can try on a variety of styles discreetly. They should also have highly knowledgeable employees who are willing to help you with any questions or concerns you may have. Once you have tried on various wigs and have narrowed down what type you prefer, you can take note of the brand, style number, and color and possibly order for cheaper online. However, if you fall in love with a wig in store, it may not be worth the risk of hunting online for an identical one. Websites such as wigs.com and hairuwear.com are great online resources. Cost: The price difference between human hair and synthetic can be tremendous. When it comes to wigs, you truly get what you pay for. Higher quality wigs will cost more than their lower quality counterparts. Because of it’s desirable versatility and beautifully natural look, human hair wigs tend to be vastly more expensive than synthetic wigs. Human hair can cost between $700-$2500, depending on the length of the wig. They will, however, last more than a year with regular maintenance. Synthetic wigs can cost between $30-$500, but will only last up to six months. There are many factors to consider when purchasing a wig, including how long your chemotherapy will last and how long you are expecting to be without hair. If your treatment extends beyond six months, a human hair wig may be a better investment, whereas if you will only experience hair loss for a few months, a synthetic wig might be the preferred choice. Regardless of whether you choose human hair or synthetic, know that purchasing a wig is always an investment. This is something you will be wearing several times a week, if not daily. *Insider tip: Call your insurance provider and ask if they cover the cost of a “cranial prosthesis.” In some cases, insurance companies will offer full or partial reimbursement for the cost of a wig. Have fun! Shopping for and purchasing a wig can be overwhelming, but it can still be an enjoyable experience. If you’re like me, you’ll encounter a wide range of emotions while searching for the right wig. While I did cry grieving the loss of my treasured locks, I also laughed throughout the shopping process. Allow yourself to be silly and light-hearted. Be adventurous. Try on different styles, lengths, and colors. Step out of your comfort zone. 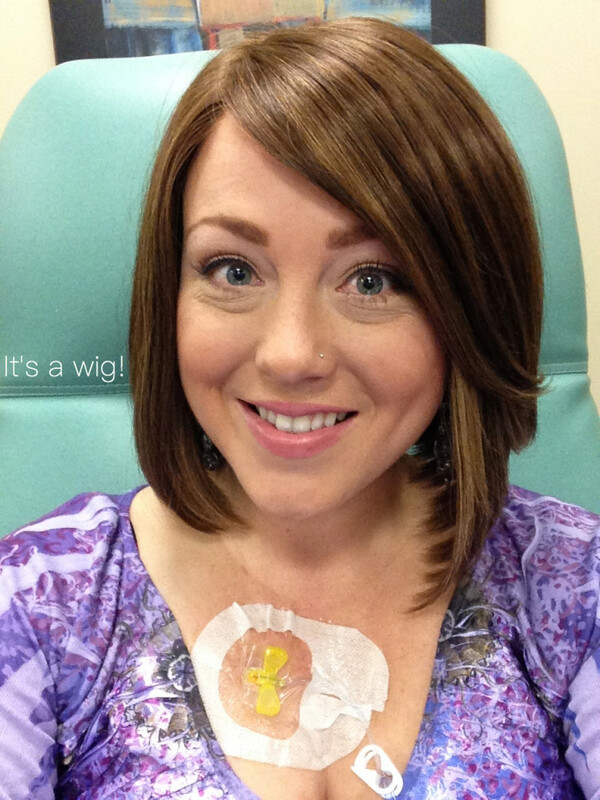 A cancer diagnosis is a heavy burden to carry, and shopping for a wig can be the cherry on your proverbial mud pie, but it doesn’t have to be miserable. Invite your close girlfriends and/or family members and make a day out of it. Start by scheduling a manicure and pedicure, then grab lunch and cocktails before heading to the wig shop. Laughter can be the best cure for an otherwise somber occasion. My personal favorites: I’ve tested and tried many wigs and have found favorites along the way. I know what works best for me and is most flattering and comfortable. A good wig should be so well camouflaged that everyone assumes it’s your natural hair and, through trial and error, I’ve found just that. 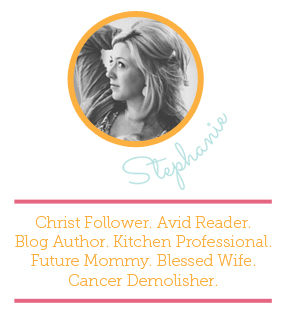 Please note that these are not sponsored products, they are simply my personal must-haves. My favorite wig manufacturer is Raquel Welch. I own two — One blonde and one brunette. Both shoulder length. She produces high quality, natural looking human hair and synthetic wigs. They tend to be more costly, but are worth every penny. You can find Raquel Welch wigs at hairuwear.com. In addition, as far as accessories go, I prefer a mannequin head and clamp stand for everyday storing and styling use, and a metal tripod for travel. I’ve also found that stocking caps are more comfortable and lightweight than cotton ones. Remember, what worked for me may not work for you. © Copyright 2016 Derailing My Diagnosis. All rights reserved. Derailing My Diagnosis.